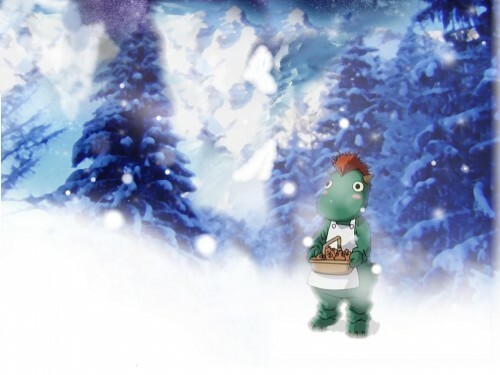 Soopy-kun selling soopy cakes. But he's in the snows somewhere! Oh know! He is lost! Yeah, I found this very interesting background at one time at the same time I was also into Scrapped Princess. I was taking screen shots from the series because I thought a cosplay of Soopy-kun would be awesome, especially if this girl I knew then was going to cosplay as Pacifica and partner up with me. Out of nowhere really I just decided to brush some snow here, arrange some colour matching, blur and clone here and there and then in the end Soopy-kun is left wondering what he is doing out there on the snows. Soo cute and funny! This is a great wallie! Very original!